Resolving the legal nodus, whether a cheque returned by the bank on the ground “cheque reported lost” will come within the purview of Section 138 of the N.I.Act, the High Court of Kerala speaking through Justice P.D. Rajan has held in a recent judgment [K. Sadanandan Vs. V.S. Satheesh Kumar] that refusal on the part of the bank to honour the cheque on the ground of “cheque reported lost” would not bring the matter within the mischief of the provisions of S.138 of the Act. The ruling came in the following factual matrix: The accused on 12.08.90, borrowed a sum of Rs. 80,000/- from the complainant with an undertaking to repay the amount as and when required, and in discharge of the debt he issued a cheque drawn on State Bank of Travancore, Nellimoodu branch. 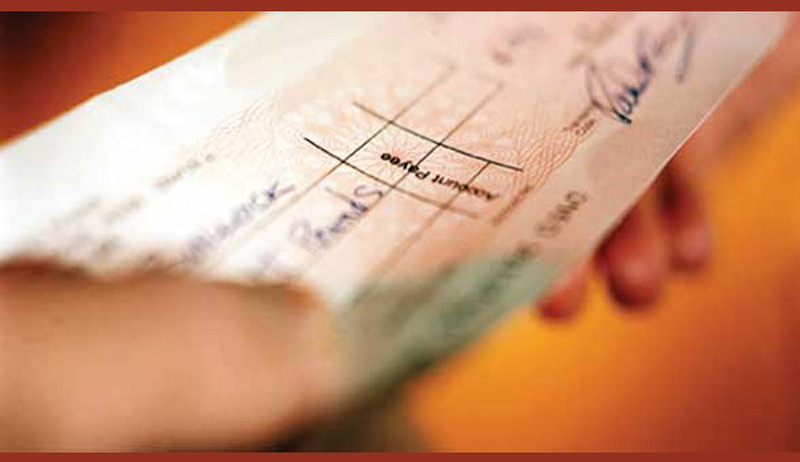 When the cheque was presented for encashment, it was dishonoured for the reason, “cheque reported lost”. Thereafter, the complainant made a demand for the payment of the said amount by giving a notice in writing to the drawer of the cheque. There was no response from him. In the circumstance, he filed the above complaint in the Judicial First Class Magistrate Court-V, Thiruvananthapuram. The trial court after sifting and weighing the evidence on record, convicted the accused. Against that, he preferred appeal. The appellate court after considering the evidence, confirmed the conviction passed by the trial court and modified the sentence. Challenging the judgment of the court below, the accused approached the High Court of Kerala. The accused contended that the cheque was dishonored on the ground, “cheque reported lost”. When the said cheque is reported as lost and returned by the bank on that ground no offence will attract under Section 138 of the N.I. Act. The complainant on the other hand contended that copy of the ledger shows that there was insufficient fund and the offence under Section 138 will automatically be attracted. S.138 of the Act moreover provides for a penal provision. A penal provision created by reason of a legal fiction must receive strict construction. (See R. Kalyani v. Janak C. Mehta & Ors. ((2009) 1 SCC 516) and DCM Financial Services Ltd. v. J.N. Sareen & Anr. (2008 (2) KLT 762 (SC) = (2008) 8 SCC 1)"
Justice P.D. Rajan held that the penal provision, enacted under Section 138 of the Negotiable Instrument Act shows that a legal liability drawn would be attracted when a cheque is returned by the bank unpaid. It explains that, such non-payment by the bank may either be: (i) because of the amount of money standing to the credit of that account is insufficient to honour the cheque, or (ii) it exceeds the amount arranged to be paid from that account by an agreement made with that bank. Before a proceeding the legal requirements mentioned therein must be complied with and convince the court that all the ingredients of the offence have been complied with. “Therefore it is clear that the parameters for invoking the provisions of S.138 of the Act being limited, I am of the opinion that refusal on the part of the bank to honour the cheque would not bring the matter within the mischief of the provisions of S.138 of the Act:, ruled Justice P.D. Rajan. Accordingly, the conviction and sentence passed by the court below was set aside and the appeal was allowed by the High Court of Kerala.